When Skype was the only game in town, ooVoo came onto the market with the first 9-window screen for multi-participant video chat and video conference. Using an ‘imagination’ series, we helped the media and bloggers understand what life could be like for dispersed families, soldiers, remote colleagues and others. In many cases we used ooVoo as the vehicle to interact with the media and leveraged customer use to demonstrate its power. Launched with a ‘blogger day’ where bloggers were asked to report on ooVoo using ooVoo, the success of the launch and following program were enormously successful. 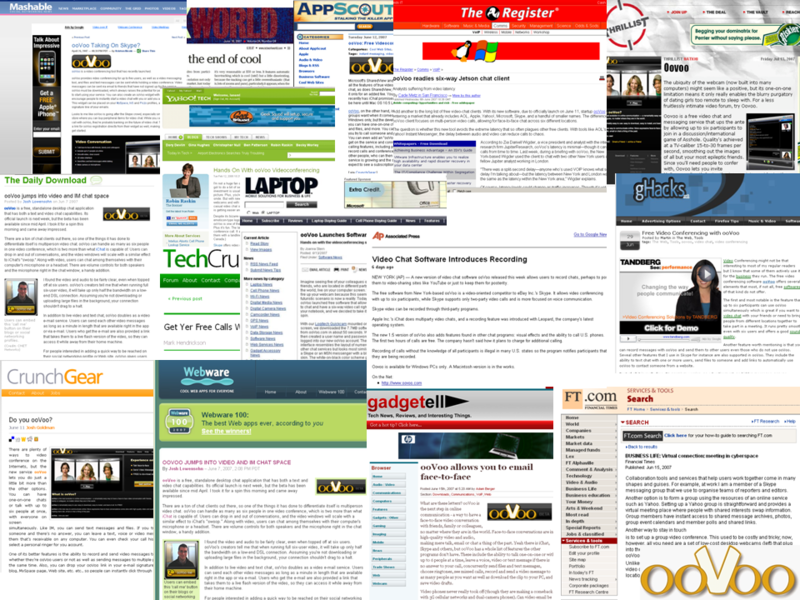 Hundreds of articles and many blogs covered ooVoo giving it a strong foothold on the market. Today ooVoo is a household name.